Every single Alyssa & Anna engagement ring is handcrafted specifically for you, in our Wisconsin based studio. 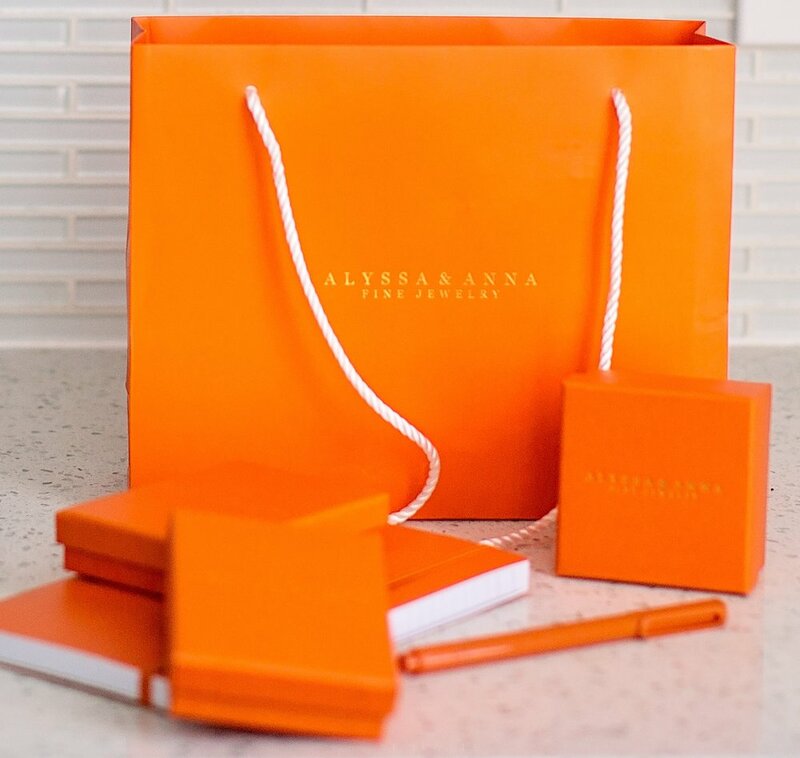 A lot of people ask us why we chose the color orange to symbolize our brand - Well, because it's a color that's bright & bold, but also warm & familiar, and that's the feeling we like to go for. "The beauty of Alyssa and Anna is that they are able to take a design idea and turn it into the most gorgeous piece of jewelry; all within their family owned studio. Your ring, from design to finish is taken care of by them, and them alone. If you are looking for a gorgeous, handcrafted, sustainable, one of a kind piece of jewelry, you must pay them a visit." - Karli F.